This entry was posted in Uncategorized and tagged Food, Iran, Video on July 13, 2015 by socialinform. This entry was posted in Uncategorized and tagged Food, Iran, Video on July 10, 2015 by socialinform. Ariana Bundy, an award winning Iranian-American chef and cookbook author of ‘Pomegranates & Roses’, visits the vast and fascinating country of Iran to re-discover her heritage. 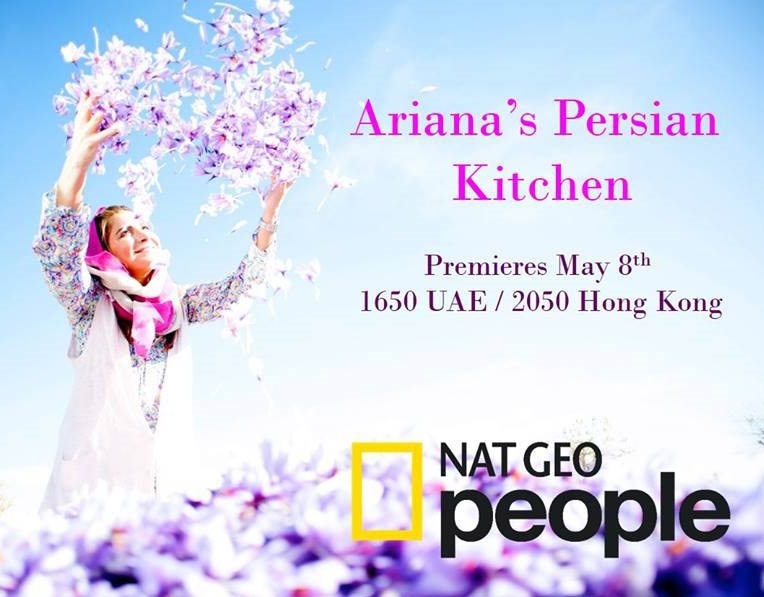 From the lush green mountains of the Caspian sea, to the golden deserts of Yazd, Ariana eats her way through Persian delicacies in Bazaars, pastry shops, restaurants, and people’s homes. Cooking alongside local women in palatial homes, countryside and in villages. She meets chefs, bazaar traders, farmers, food bloggers and home cooks and recreates the recipes she picks up along the way in her home in Dubai, by using common ingredients and short cuts to create exotic feasts. TV Chef and cookbook author Ariana Bundy was brought up in New York, London, Switzerland and Paris. She inherited her love of food and cooking from her grandparents – who grew cherries, plums, apricots, apples, wheat and barley, bred sheep and goats for dairy, and had beautiful vineyards producing prized grapes – and from her father, who owned the first fine-dining French restaurant in Iran and later in Beverly Hills. Ariana was Head Pastry Chef for the Mondrian Hotel in LA. Graduate of Le Cordon Bleu and Le Notre in Paris, she trained at Fauchon Patisserie and attended the European Business School in London. She has cooked for celebrities such as Tom Hanks, Nicole Kidman, President Clinton, Brad Pitt and Madonna to name a few. This entry was posted in Uncategorized and tagged Ariana Bundy, Cuisine, Food, France, French, Iran, Photos, USA, women on May 5, 2015 by socialinform. This entry was posted in Culture, People & Society and tagged Food, Funny, Iran, United States, USA, Video on April 9, 2015 by socialinform.